As the 2013 ISMB/ECCB meeting is winding down, I archived and analyzed the 2000+ tweets from the meeting using a set of bash and R scripts I previously blogged about. 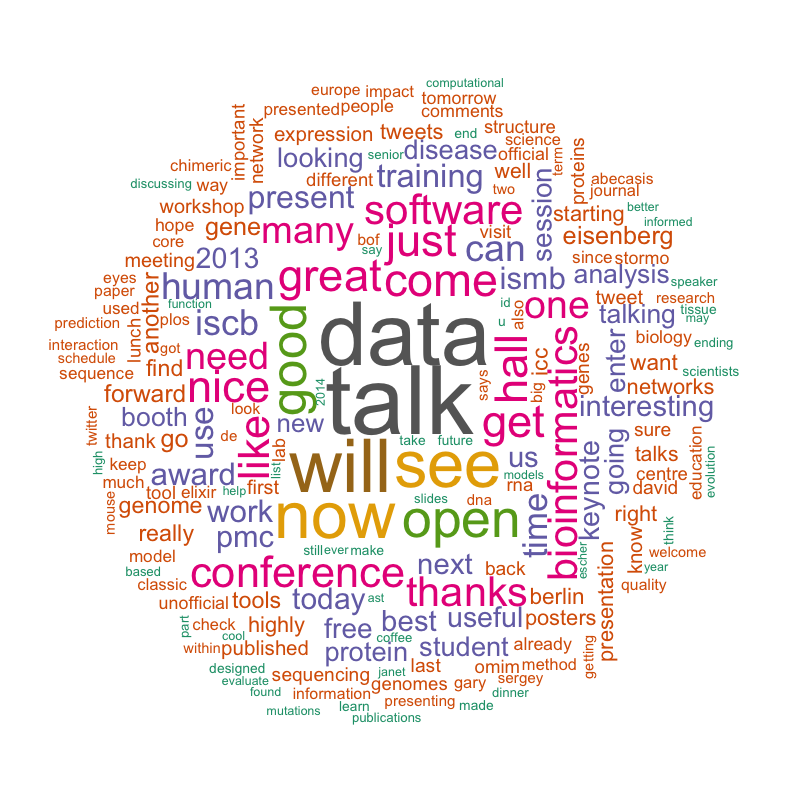 The archive of all the tweets tagged #ISMBECCB from July 19-24, 2013 is and will forever remain here on Github. 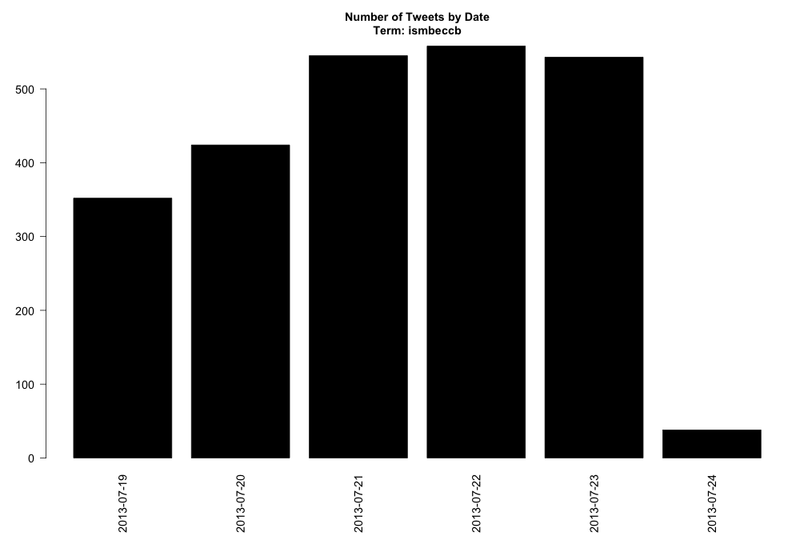 You'll find some R code to parse through this text and run the analyses below in the same repository, explained in more detail in my previous blog post. 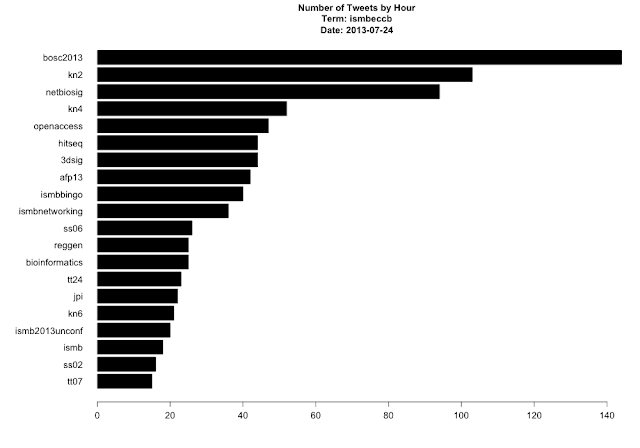 Most popular hashtags, other than #ismbeccb. 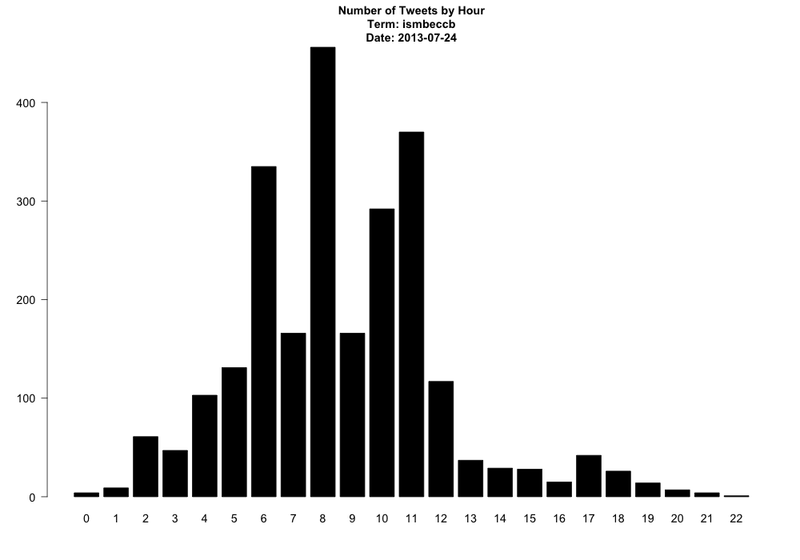 With separate hashtags for each session, this really shows which other SIGs and sessions were well-attended. 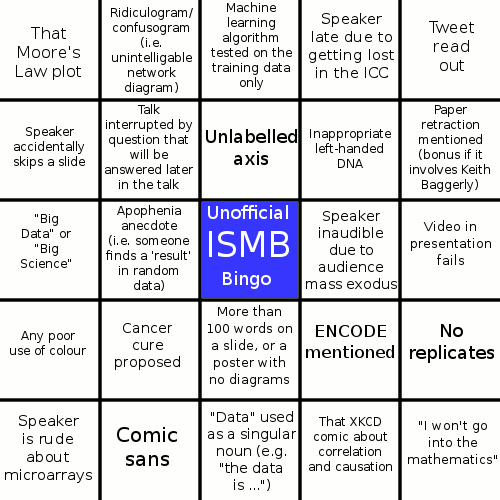 It also shows the popularity of the unofficial ISMB BINGO card. 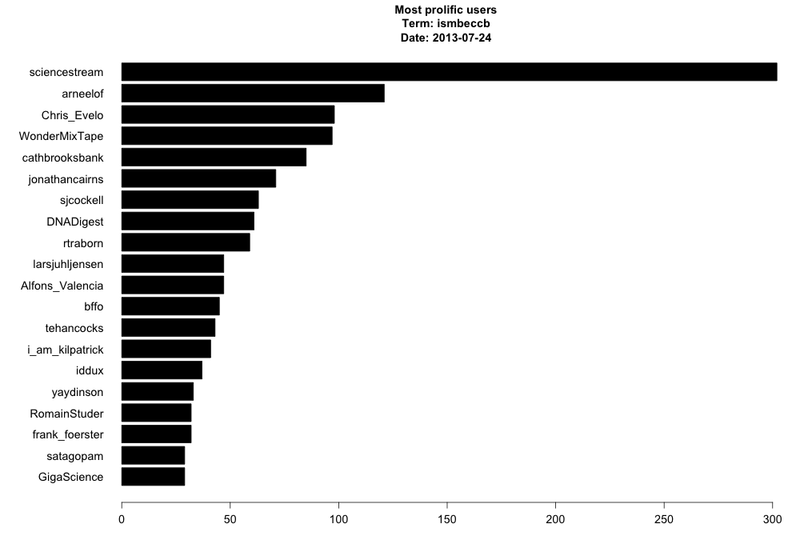 Most prolific users. I'm not sure who or what kind of account @sciencstream is - seems like spam to me.